This (short) post is going to look at a paradoxical situation in British road road design, one that means that a very dangerous way of dealing with turning conflicts is legal, while a much safer way of dealing with those turning conflicts is illegal. Here’s the legal situation. Take any signal-controlled crossroads. It’s perfectly acceptable to paint a cycle lane, against the kerb, on the inside of a lane of left-turning motor traffic. We are then quite happy to release, with a green signal, both a person on a bike in that cycle lane – who might be going straight ahead – at exactly the same time as a driver turning left from the lane on that cyclist’s right. We even do this with fairly new road layouts. Someone in that cycle lane could be going ahead – and they have a green signal at exactly the same time as the bus which is turning left, from their right. In other words, we’re completely okay with this kind of conflict being designed into new roads, as long as there’s only a line of paint separating you from the bus or the lorry waiting alongside you on your right. But let’s say we change this arrangement slightly; change the position the person on the bike is waiting at, relative to the driver of the car, bus, or lorry. Something like this. The person cycling is moved forward into the junction, where the driver can see them, so far forward, in fact, that if they get a green light simultaneously, the person cycling will have cleared the junction before the driver makes his or her turn. Even if they do happen to meet, they will do so at a perpendicular angle, so both parties can see that a conflict is about to occur, and adjust their behaviour accordingly. There’s even a nice BicycleDutch video explaining the advantages of this design. But of course in Britain it’s not possible to do this, because it amounts to a ‘conflicting green’. Drivers turning left with a green must not meet someone crossing their path with a green signal. So there we have it. It’s completely acceptable for drivers to turn left across someone cycling if that person on a bike is right next to them, separated only a bit of paint – that’s not a conflicting green. Meanwhile if that person on a bike is situated in a much safer position, more visible, and more likely to be out of the driver’s way before the turn is completed – that is a ‘conflict’, and not legal. Such is the British approach to road safety! Could do Leading Pedestrian Interval and allow the bike to go early with the pedestrians, too. Also illegal? Apparently so – I asked about that possibility at a location where 2 quietways cross. You seem to be able to in Walton on Thames. Here’s a 4 way green for pedestrians and riders actually in operation (no riders in this shot, but hey, I can’t be everywhere!). The key seems to be that If you make the corners shared use, and put in toucans it’s perfectly legal, but put in cycle paths and you can’t. Crackers. Not sure he had a ‘green man’, either! Now we are beginning to see red-amber-green bike lights, there is more scope for bike phases, but I don’t think we are yet doing bike-filter-arrows ! As they say “Don’t cross the streams” ! What is needed is a clarification of the idea that if you turn a corner you should give way to anyone going straight on. Alas you also need a bit more free space at the corners. Yes. That idea – that turning traffic gives way to pedestrians crossing the road they’re entering, and by extension to cyclists on a crossing – doesn’t really exist in UK (yes, I know HC rule 170, but even if drivers observed it, it only seems to apply when turning into minor roads). It certainly doesn’t exist at traffic lights. And yet it works very well in some places which have it – including ones where drivers generally treat pedestrians as annoyances to be brushed out of the road. Which is where you cross a side road with a green man showing, and have a right turning car run you down because they were only watching for oncoming traffic and not pedestrians coming from behind them. 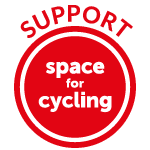 The UK is filled with Pits of Failure for cycling – follow the system blindly, and you’ll fall into them. Instead, what you want is a system with Pits of Success – follow the rules of the road and the environmental cues, and success (survival) follows automatically. What says conflicting greens are illegal? A few have been built, but usually highway authority “road safety auditors” (often effectively motoring lobbyists in my experience) will demand changes and get them. The U.S. approach to “safety” often isn’t much better either.